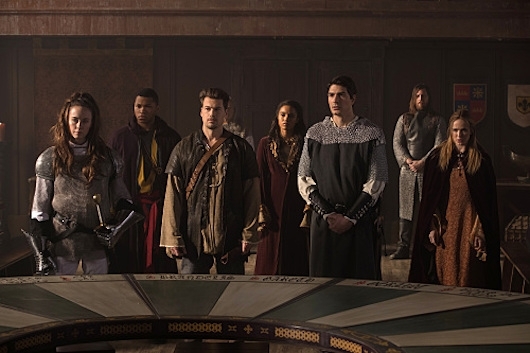 Last week on DC’s Legends of Tomorrow, evil Rip Hunter (Arthur Darvill) said the overridecode to Gideon and plunges the timeship into a whirlwind that landed in Jurassic World. 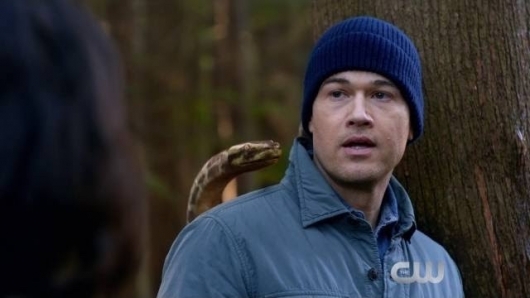 Luckily, Ray (Brandon Routh) still had all his knowledge and shelter from when he was stuck there. He advised Nate (Nick Zano) not to get with Amaya (Maisie Richardson-Sellers) because of her destiny. Sara and Jax (Caity Lotz, Franz Drameh) entered Rip’s brain to get the secret spear info. Inside, they found evil versions of the team and a flesh and blood Gideon. Sara found the real Rip and talked him into fighting for freedom. 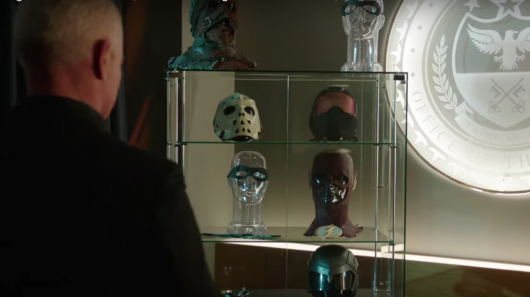 Two weeks ago on DC’s Legends of Tomorrow, the legends needed to save George Washington and the outcome of the Revolutionary War, because evil Rip Hunter (Arthur Darvill) and the Legion of Doom – Damian Darhk, Malcolm Merlyn, and Eobard Thawne (Neal McDonough, John Barrowman, Matt Letscher) caused an aberration to grab the piece of the Spear of Destiny. 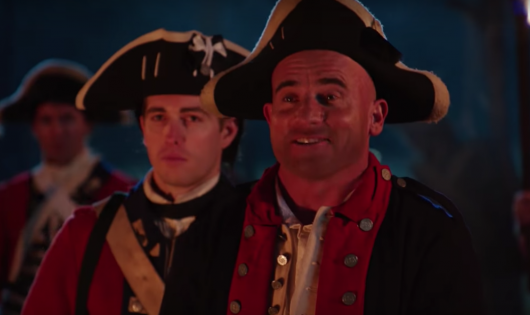 Washington was scheduled to hang as a traitor, but Mick, Nate, and Amaya (Dominic Purcell, Nick Zano, Maisie Richardson-Sellers) saved the day. Sarah (Caity Lotz) almost died when she was shot and Rip choked her, and the ship was offline. Stein (Victor Garber) tried to save her, as Jax (Franz Drameh) tried to defend the ship and the piece of Spear. Sarah was saved, but the spear was taken. Nate and Amaya became more than just friends. Last time on DC’s Legends of Tomorrow, Damian Darhk (Neal McDonough) narrated the opening, and we got to see how Malcolm Merlyn (John Barrowman) hooked up with Darhk and Eobard Thawne (Matt Letscher). There was trouble in paradise, with the two seething at Eobard Thawne’s highhandness, while simultaneously at each other’s throats. They were trying to get info out of Rip (Arthur Darvill), but the info just wasn’t there. A safety deposit box in 2025 had a piece of the Spear of Destiny, but they could not get in. Malcolm and Darhk have an assassins sword fight, until the “hippie” made them realize that they should work together. Lily Stein (Christina Brucato) found out she was a time aberration. The team figured out why Thawne was always on the move. The Legion of Doom trapped the monster (kinda looks like a zombie Flash) in a bank vault as partners. 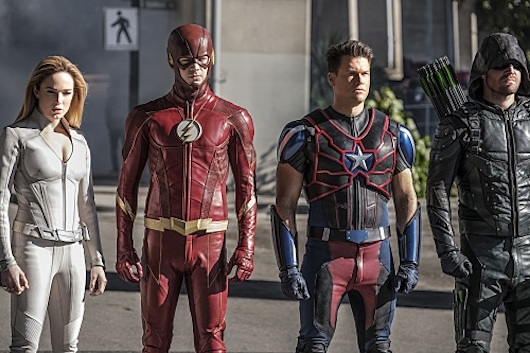 Monday night on Supergirl, Tuesday night on The Flash, and last night on Arrow‘s 100th episode, The CW and the Guggenheim/Berlanti/Kreisberg empire brought us the first 3 episodes of the most ambitious crossover yet. 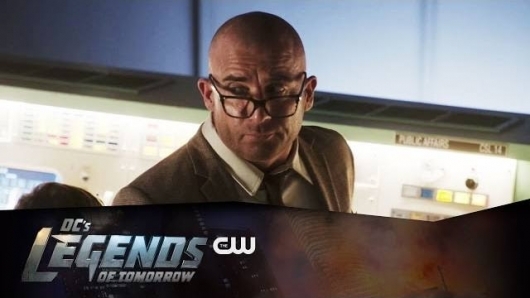 Concluding tonight on DC’s Legends of Tomorrow, the heroes and legends are trying to stop the Dominators, a creepy alien race bent on destroying Earth. 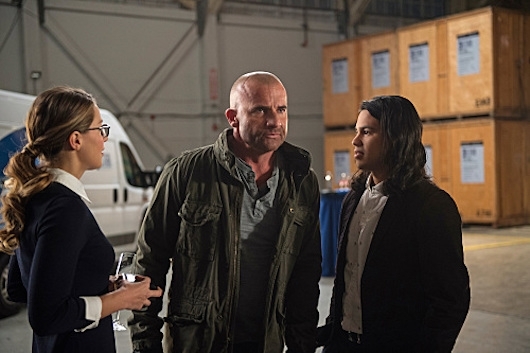 After Barry Allen and Cisco (Grant Gustin, Carlos Valdes) reached out to Supergirl (Melissa Benoist) for help, Team Arrow, Team Flash, and the Legends joined forces to fight them. Some had been mind-controlled to attack each other, but good prevailed, some were kidnapped and put in a happy stasis dream state and then rescued. What happened tonight? Read on!